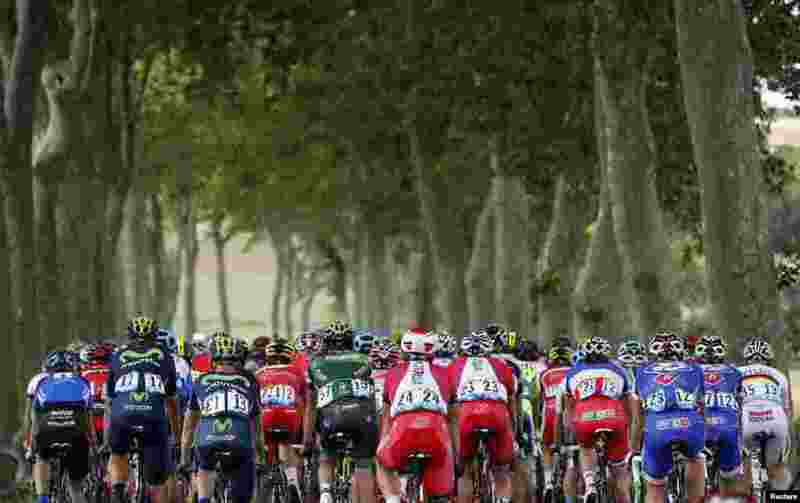 1 The pack of riders cycles on its way during the 237.5km 16th stage of the Tour de France cycling race between Carcassonne and Bagneres-de-Luchon, France. 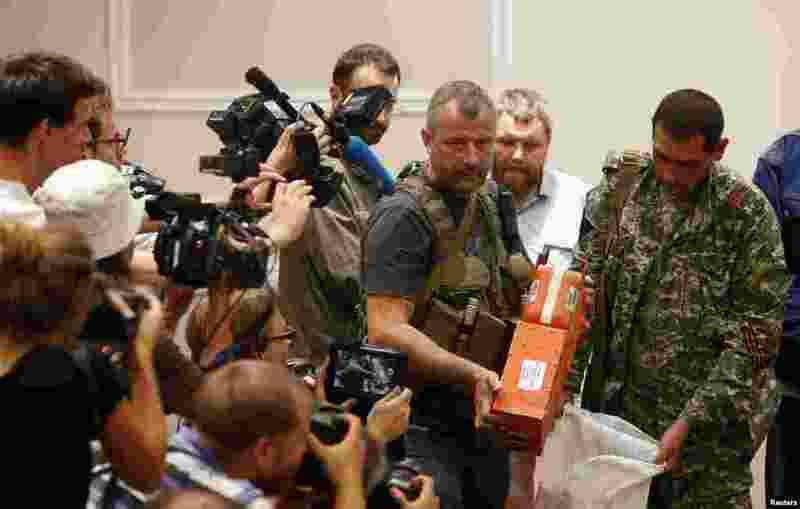 2 A pro-Russian separatist shows members of the media a black box belonging to Malaysia Airlines flight MH17 before its handing it over to Malaysian representatives in Donetsk, Ukraine. 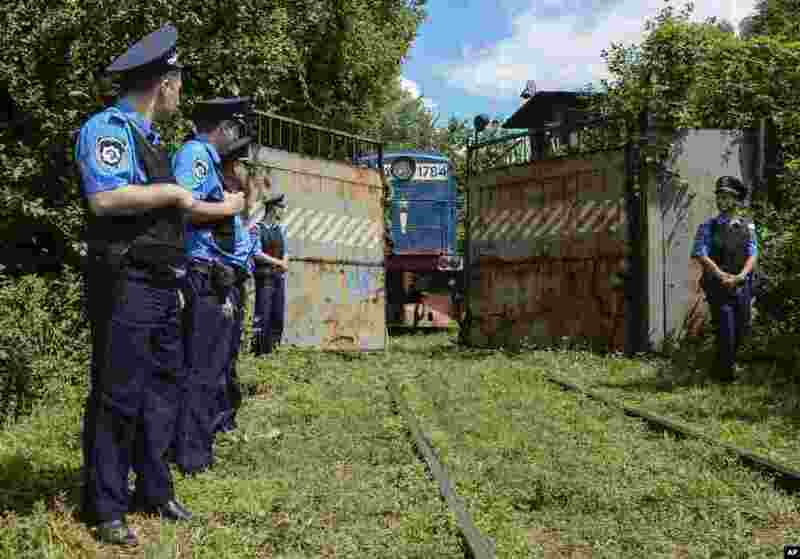 3 Police officers secure a refrigerated train loaded with bodies of the passengers of Malaysian Airlines flight MH17 as it arrives in Kharkiv, Ukraine. 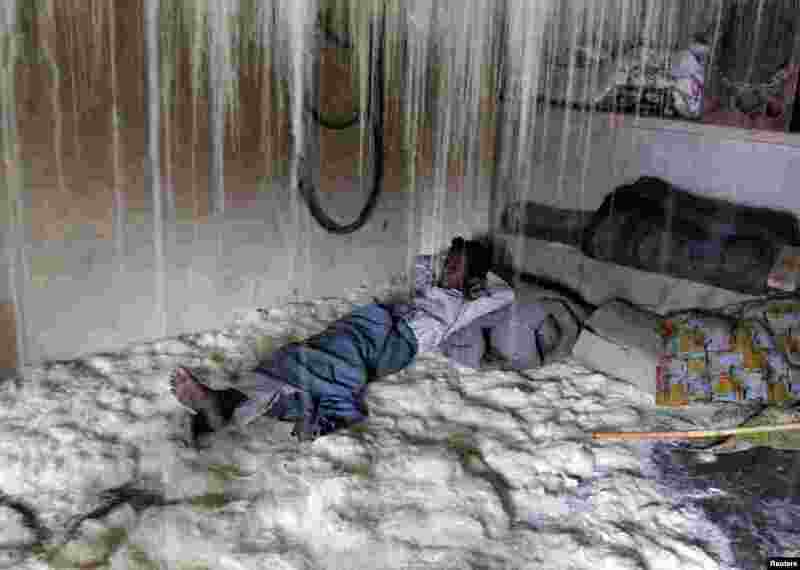 4 A worker rests on vermicelli inside a factory in the northern Indian city of Allahabad.